A cool, modern look that goes way beyond winter. 100% acrylic construction provides the perfect amount of stretch for a great fit and shape retention. Size: 7.5”w x 8”h – one size fits most. 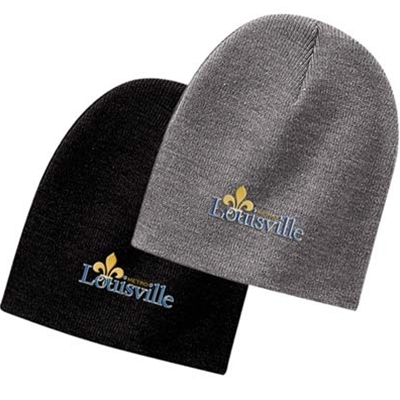 Available in Black and Heather Gray with the Louisville Metro logo.